For parents & caregivers everywhere. Not a GPS device; no monthly fees. This BrickHouse Toddler Tag Child Locator goes from $39.95 to $29.95 and finally to $20 using our exclusive code BDTT20 at BrickHouse Security. Shipping adds $6.95. This is the best price we could find for any similar devices by $15. 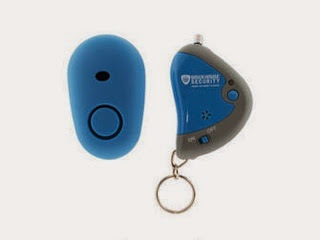 This durable tag attaches to your child bag or clothing with a clip or Velcro strap and emits a 56dB siren when the wireless transmitter is pressed, making it easy to locate your child in a crowd. There is no sales tax (except in NY and IN). (Note: this code cannot be combined with any other coupons.